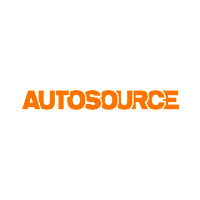 Autosource is a great place to do business. I was so pleased with the honest and straightforward approach that these guys have that at truly was an enjoyable experience. I traded in a specialty car and knew what I was looking for. They found me the right deal and got me the best possible value out of my vehicle. I'm so grateful and appreciative to them. Definitely a place that you want to do business at. Autosource was very helpful and persistent in there work. My wife and I went to many dealerships to get out of a loan we had on an overpriced car. They all told us to f$$$ off basically until we came to Autosource. Kekoa was our sales rep. He looked over our situation and found a solution to our problem. He kept a very open mind throughout the whole process and worked diligently with us. Sadly, the truck we wanted was gone by the time we had everything to get it. Instead of giving up Kekoa put us in a vehicle we didn’t even think was possible. Thanks to Autosource we got out of our 2 door coupe and got a lifted 4 door Jeep. Just in time to fit our new born child. Angel was the best because she is super helpful, accommodating, and professional! Will definitely be back for future vehicle needs. Thank you to everyone at Autosource! I wanna thank you autosource and your team, gotta thank Ryan and taeho for helping me out with looking for my car and patience letting me test the car out and I gotta thank big boss Rima he was so negotiable to helping get the car I wanted and also trade my car in for a deal I wanted . If you guys want good cars and nice ones cheack them out they are willing to work with you to go home and ride your next dream car.. Thumbs up baby!!! !